Whether it’s starting up the pool for the season or closing it down after the kids are back in school, Pooltek is here to answer your Seasonal Service needs. While many pool owners can handle the Summer maintenance of the pool themselves, the crucial tasks of Pool Opening and Closing are best left to professionals. 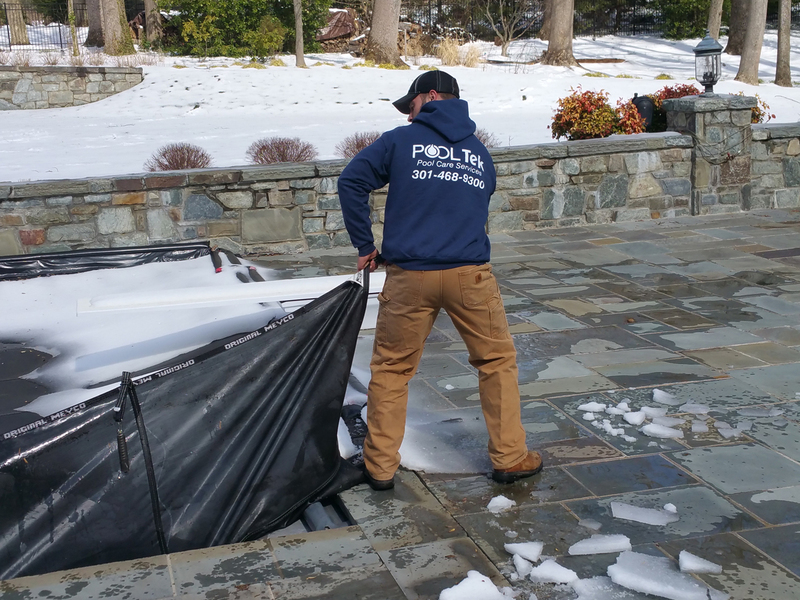 With Pooltek’s industry-trained and certified technicians handling this work for you, we can ensure that all equipment is working right for the Summer, and properly protected during the cold Winter months. And during those cold Winter months, you may not be using the pool, but that doesn’t mean you shouldn’t be keeping an eye on it. And if you don’t want to, call on Pooltek to keep everything in proper working order. 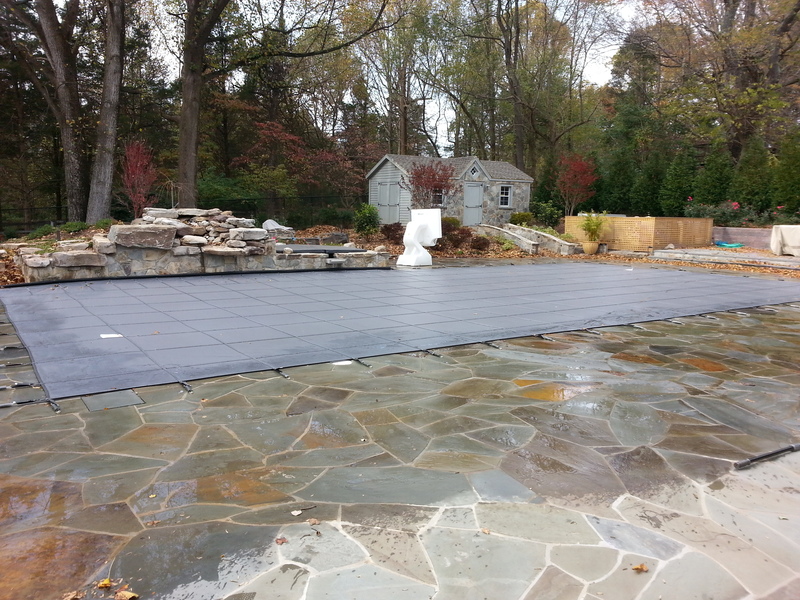 Pooltek crews can get your season started off right with a variety of Opening Options. We offer minimal packages, such as just starting up the equipment, all the way up to our Full Opening, which includes cover removal, equipment startup and inspection, chemical addition, and initial vacuuming and brushing of the pool surface. Every pool is a little bit different from the next, so we tailor the opening to your specific pool and your personal needs, to kick off the Summer right. Call or email us for our latest pricing! A proper pool closing is important to properly protect your pool structure, equipment, and underground plumbing lines, and Pooltek is here to help. We offer a variety of Closing Options to allow you to tailor your visit to your specific needs. Offering minimal packages, such as just blowing out underground lines, all the way up to our Full Closing, which includes complete equipment and underground line Winterization, lowering of pool water, chemical balancing, Winter chemical addition, and cover installation, you’re sure to find a package that works for you. Call or email us for our latest pricing! The pool may be closed, but that doesn’t mean it shouldn’t be monitored. Water levels should be kept below the tile line throughout the cold Winter months to avoid possible ice damage, chemistry should be monitored to protect the plaster from etching or scaling, and Winter covers should be checked to prevent them from falling in or tearing. 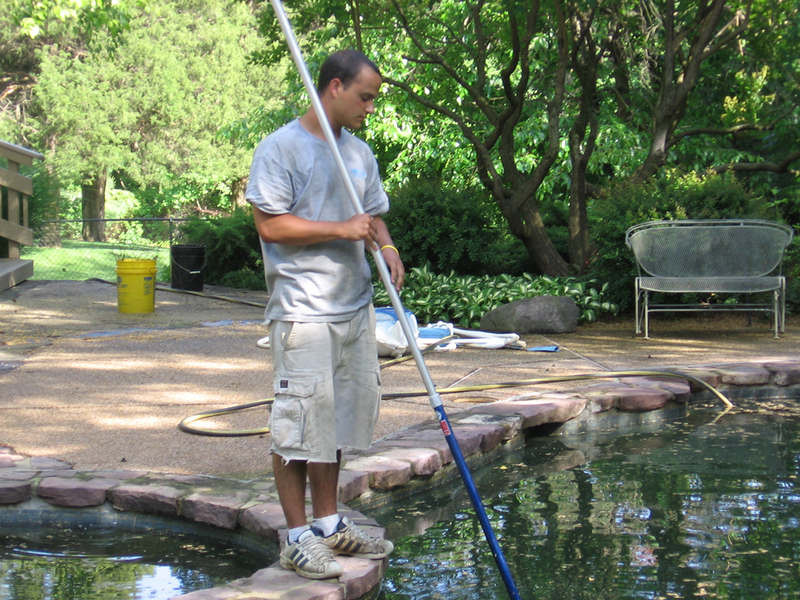 Additionally, we always recommend the addition of a chlorine shock and algaecide treatment in early-Spring to stave off algae growth prior to the Opening in the Spring. All of these tasks can be performed on an as needed basis or scheduled in advance with our Monthly Winter Service program. Contact us to schedule or for more information.